Writing a review of your language course is really helpful to other students. It helps them understand the differences between schools or courses. It also helps them understand what to expect when travelling and living abroad. Now you can benefit too! Write a review and share it on Facebook using our hashtag to be automatically entered into the competition. 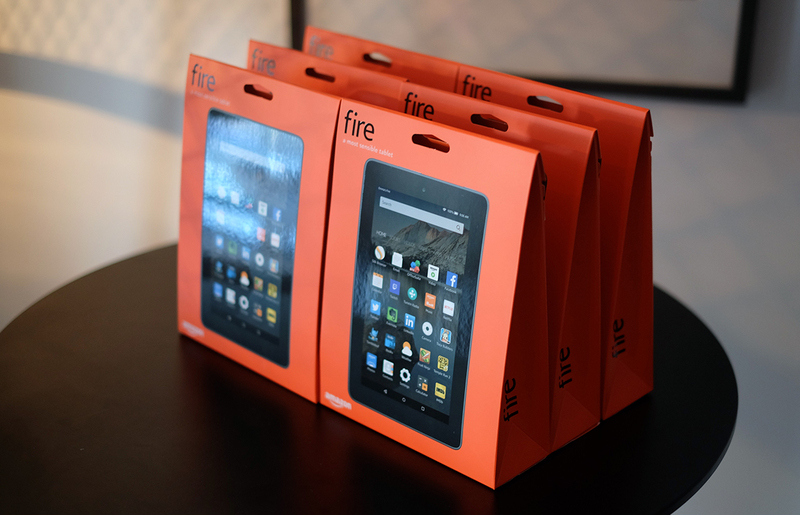 Each month we will give away 10 Amazon Fire tablets! You can Skype home to your friends and family, take notes in class, or watch movies with your new classmates. All you need to do is search for your school at the top of the page. Write a review for them and mention us by adding @coursefinders to your post. Make sure you make the post public or we won’t be able to see it and send you your prize! We will never spam you, write on your wall or give your data to others. We ask all reviewers to log in because it helps prevent fake reviews. Keep your photos, movies and games with you using a microSD card slot that lets you expand your tablet’s storage by up to 128GB. Plus, enjoy free unlimited cloud storage for all Amazon content and photos taken with your Fire device. Don’t be tethered to an electrical socket – with up to 7 hours of mixed-use battery life, Fire gives you the flexibility to go wherever the day takes you. Amazon engineers Fire tablets to hold up against everyday life. As measured in tumble tests, Fire tablets are 1.8 times more durable than the iPad Air 2.